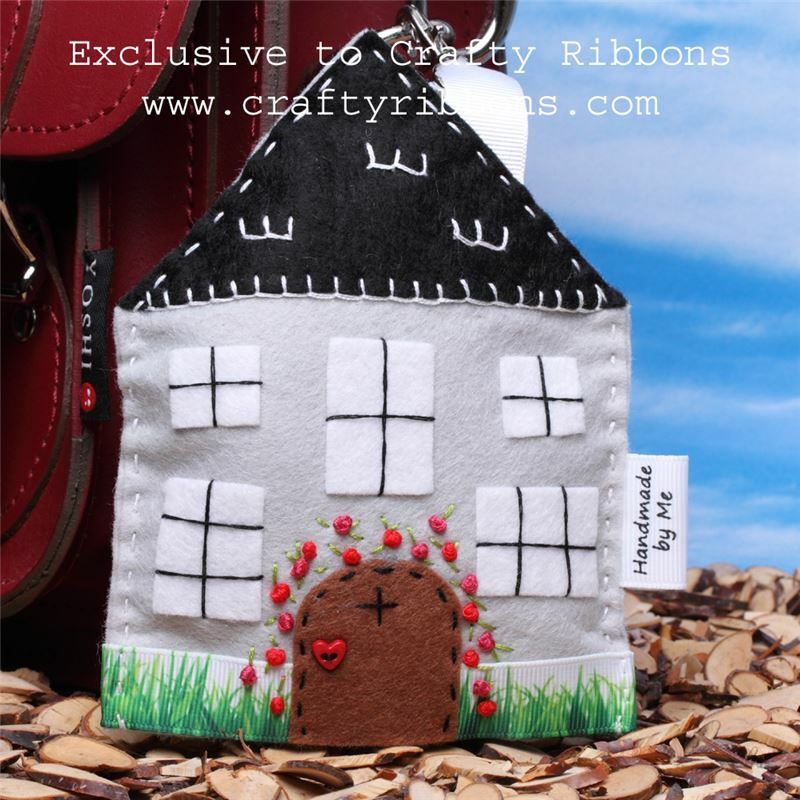 Never arrive at the suppermarket checkout without a carrier bag, with this cottage hanging from your handbag. Inside the cottage is a carrier bag! Full clear instructions, re-usable design template, ribbons, 40% wool felt, "Handmade by me" and "Fait par Moi" label, interfacing, keyring and embroidery thread. To complete the kit, scissors, pins, iron, needle and sewing threads.